This newly built day care center located in one of the busiest business parks of Edmonton area offers innovative and high quality programs for infants, toddlers, preschoolers and after school care children at affordable rates. It provides a nurturing environment for young kids, where they are not only taught academically but are also loved and cared for. It also promotes the development of 21st century skills and the cultivation of good habits in its childcare curriculum. Apart from satisfying your passion to uphold first-class education and childcare programs, this is also a promising opportunity if you are a business-minded person. It is strategically located near a brand new strip mall in the great city of Edmonton. This is a great avenue for those employed parents who needed a safe place for their young children while they are at work. With a total capacity of at around 170 kids, this day care center is fully licensed and approved by the Health Department. It is also completely furnished with 13 classrooms, bathrooms attached in each room, a functional kitchen area and a contemporary playground, among others. This day care center comes with an attractive lease and ready for possession. In addition to the wonderful facilities that this business venture boasts, it also takes pride to its team of professional administrative and teaching staff. They have created a family-oriented environment for this academic institution that assures each and every parent that their children are in good hands. They have dedicated themselves to provide exceptional educational services to all their clients. Their outstanding mission and vision statements have guided them in delivering quality customer service, which contributed to the remarkable expansion of the client base. The current owner has decided to sell this business due to a number of health reasons. He has included to the selling price a $1,250,000 worth of well-maintained pieces of furniture and fixtures, even a stock value of worth $40,000. Only serious buyers will be entertained - those who are committed to continue the legacy of this day care center. 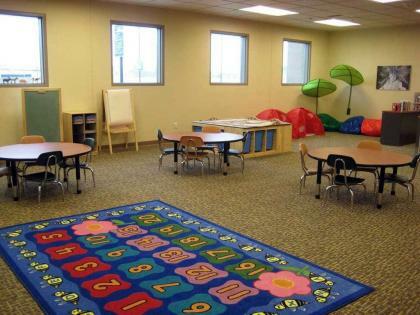 The day care center is presently located at a business park that is close to a new strip mall. The total area is about 10,000 square feet with a rental lease of $18 per square foot per annum. There is a total of 13 classrooms, each with an attached bathroom. The director’s room and the faculty area are also provided with a well-kept washroom. There is also a clean public bathroom for visitors. Its fully-equipped kitchen includes 2 fridges, 2 stoves, 2 range hoods, a grease trap and an industrial dishwasher. The 7,000 square foot playground was carefully designed to bring fun and safety to children of all ages. The entire premises are also secured with a CCTV surveillance and a fire sprinkler system. Physically, this day care structure can be expanded by constructing a second floor. This will accommodate more kids and teaching staff. With this expansion, the new management can decide to offer a higher level of mode of instruction such as grade school classes. It is also highly advised to create revolutionizing marketing and advertising strategies to be able to target residents beyond the Edmonton area. Once the contract has been signed and the business is turned over to the new owner, there will be a 30-day comprehensive training program to assist the new team on how to supervise this amazing day care center. This is will further ensure that there is a smooth transition to the upcoming management.